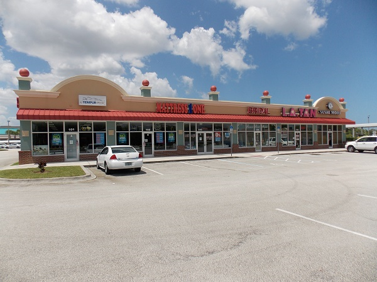 MELBOURNE, Fla. (January 8, 2017) — Crossman & Company, one of the Southeast’s largest retail leasing, property management and investment sales firms, has added Mattress Barn to impressive leasing portfolio for Palm Bay Commons in Palm Bay, Fla.
Crossman & Company Associate Thomas Bolen finalized the agreement for 4,500 square feet in the 9,000-square foot shopping destination located at 1105 Palm Bay Road in Palm Bay, Fla. The experienced Crossman & Company team continues to show the ability to connect owners and client landlords like Palm Bay Commons with niche retail tenants. “Once we engaged Thomas Bolen with Crossman and Company, we immediately had interest through his firm’s industry connections. It wasn’t long after that and we had multiple Letters of Intent from parties interested in leasing our space,” said Palm Bay Commons owner Ryan Hinricher of Investor Nation. The 9,000 square-foot center is located along the northern side of busy Palm Bay Road. Palm Bay Road is an east-west major road that connects the I-95 to US 1 along the Melbourne/Palm Bay beachfront just a couple miles away. “Our goal was to stabilize the property; we accomplished that. The former tenant Mattress One moved west to the new I-95 interchange project. Our client faced no lapse in rent because we were able to backfill that space immediately with Mattress Barn,” noted Bolen. Palm Bay Commons is in the shadow of by BJ’ s Wholesale and surrounded by significant retail brands such as a Walmart Supercenter, Walgreens, Starbucks, Golden Corral Buffet & Grill, Office Depot, Chick-Fil-A and Denny’ s.
Mattress Barn was represented by Duane Watson of Watson Commercial Real Estate of Merritt Island, Florida. Crossman & Company is the premier real estate firm focused on serving retail landlords exclusively throughout the Southeast – with offices in Atlanta, Boca Raton, Tampa, Miami and Orlando – representing more than 374 shopping centers and 28 million square feet in Alabama, Florida, Georgia, Mississippi, North and South Carolina, Tennessee, and Virginia. The company was founded in 1990 with the goal of providing exemplary service to our clients around four core values: Maintain enthusiastically satisfied clients; Demonstrate servant leadership; Practice kindness, openness and humility; and Develop new talent. For more information, visit the company’s website at www.crossmanco.com.